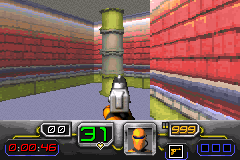 OverviewAn obscure first-person shooter for the Nintendo Game Boy Advance. 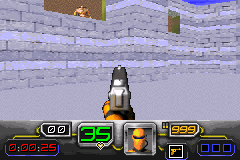 A simple, straight forward Doom clone. It won't blow your mind but it can easily keep you entertained for a minimal amount of frustration. 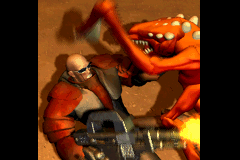 A weapons manufacturer plans to create artificial life forms to be living training aids for elite combat forces. The first time that the manufacturer activates the program, all hell breaks loose. A distress call for backup is sent but by the time it arrives it is too late. You arrive with the rest of your team to find nothing but silence and gore. The team splits up and before realizing that you are alone the life forms, designed to be a hard fight against elite troops, spring their ambush. It's too late, you are alone, you are outgunned. The base is lost, the order had gone out to send in the nukes. Best bug out to the escape pod before the flash vaporizes the rest of these beasts. 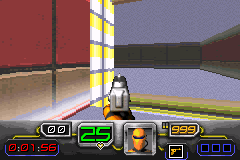 Controls are satisfactory. Response to button presses does not feel laggy. One of the few games that has a female protagonist. Opening cut scene looks nice. 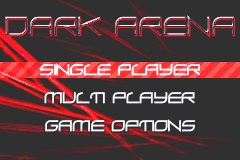 It has a multiplayer option listed in the start menu. If it works this could be a plus. New monster types are introduced pretty quickly. Each does have a different easily identifiable sprite and attack/movement style. Movement is a bit awkward for me. The shoulder buttons strafe instead of turning left/right. While the floor plans of the levels are fine the textures for the walls switch pretty drastically as you move from one room to the next. Not sure if its poor art choice or a design hack to help you navigate the level. Password required to start on a level. 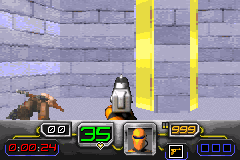 Weapons, ammo, and shield are lost between levels. Probably due to the password system. No map as you go. The automap is an item pickup and does not differentiate between where you have explored and where you have not. Now you can add videos, screenshots, or other images (cover scans, disc scans, etc.) for Dark Arena (U)(Eurasia) to Emuparadise. Do it now! If you haven't noticed yet, we have a retro game of the day feature (top-right of the screen) wherein we feature a new retro title every single day! Now, you can vote for your favorite games and allow them to have their moment of glory. 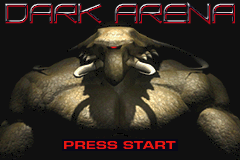 Click on the button below to nominate Dark Arena (U)(Eurasia) for Retro Game of the Day. 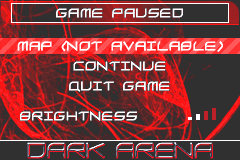 You have the option of playing Dark Arena (U)(Eurasia) in your browser, right here at EmuParadise! No need for any software, no installations required, all you need is a fast enough PC and a browser with Flash support. This is great if you're on a PC with restrictions on software installations or want to secretly play at work. 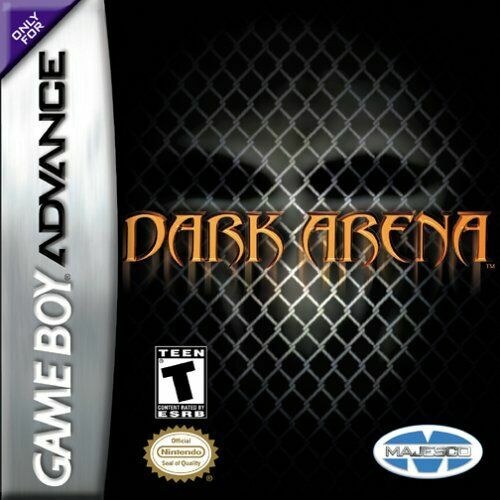 : have claimed to be the best for the Game Boy Advance. : making the intro graphics a reality. : with strategic play and puzzle solving. : dangerous, very aggressive and were considered the ultimate challenge. : just might live long enough to cross the camp and escape! :   * Texture mapped 3D environments and characters. 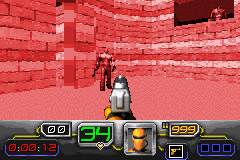 :   * 20 levels of full-on, blood soaked action. 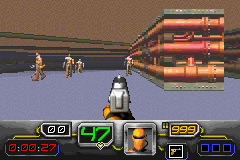 :   * Multiple enemies and bosses, each with unique styles of attack. :   * Arsenal includes 6 different deadly weapons to choose from. :   * Solve puzzles, collect items, avoid traps while battling enemies. :   * Interior and exterior battle areas.